It takes more than experience to offer professional appliances repair! It takes commitment, on-going training and up to date knowledge of everything new on the market. 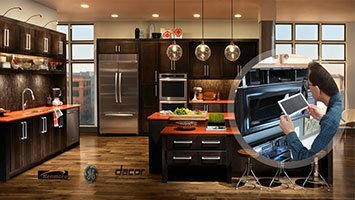 It's hardly a surprise that Culver City Best Appliance Repair covers the repair, urgent and routine service needs of clients efficiently. Our company is in this particular business for years, but our professionals continue to make improvements, efforts and changes in order to meet the current needs of clients. Making rapid steps forward is one of the priorities of our company since this is the cornerstone of success in any domain. Look at the amazing development of the movie business, which is the core of attractions in California. Culver City is indeed the heart of screenland and still home to the great Mayme A. Clayton Library & Museum. New technology makes wonders to all fields and enabled the manufacture of great appliances. It also gives us the chance to work with incredible equipment and work faster in order to help out all customers in need of a good appliance service technician. We assure all our clients that our professionals are exceptional in terms of capacities, competence and courtesy. From laundry to kitchen appliance repairs, your needs are covered as soon as possible and also effectively. Our technicians have knowledge of the latest appliances, offer commercial and domestic services, know how to troubleshoot problems and are proficient in their maintenance. Refrigerators, washers, stoves and ovens, they can all be serviced by our company whether there are specific problems or the client needs preventive service. We also offer installation services and small appliance repair. By knowing how to service, take care and install all appliances, our Appliance Repair in Culver City has everyone covered. Our fast response time allows you to forget about leaking appliances and similar problems. We try to serve our customers as soon as possible especially if they are dealing with urgent problems. From microwave to freezer and dryer problems, never hesitate to ask our assistance. With our ability to provide commercial and surely home appliance repair, your demands are covered.